There are possibly too many Warhammer 40,000 games. The quantity/quality mix seems quite wonky for these licensed spinoffs, but I still crave more. You'd think that with physical games of Warhammer 40,000 Monopoly coming soon, and digital fare like Warhammer 40,000 chess, we'd be reaching the Space Marine saturation point, but no. The truth is there is no saturation point. A studio somewhere will always be making a Warhammer 40,000 game that will probably get a score of 60-something on PCGamer.com. We could accept our fate with weary resignation, like an Imperial Guardsman about to get run over by one of his own tanks. Or, like the aspiring Imperial Guardsman praying to father Nurgle for an extra arm, we can dream. 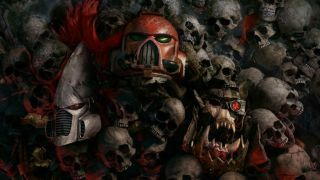 Here are eight 40K games that should definitely happen. After a few entries the Dynasty Warriors series became stuck in time. Technology improved and open worlds became more detailed, but Dynasty Warriors was having none of it. It will forever look like a PS2 game running through an emulator.